I love the latest and greatest. Writing code by using the new language syntax is fantastic. What happens when your favorite library doesn’t? You are stuck trying to find a workaround. We all hate workarounds, but they are the glue that keeps our code together at the end of the day. Between the runtime, the frameworks, the libraries, and everything else… we need everyone on the same page. Recently, I had to use Azure Node.js Table Storage API. First, let me say I know. Yes, there is a v10 that exist, and this is the v2. No, v10 doesn’t support Table Storage yet. So, let’s move on. The sight of function callbacks gave me flashbacks to a time where code indentation warranted wider monitors. Here’s the temporary workaround that I have for now. It allows me to wrap highly used functions into something more straightforward. We’re calling the relevant API with the proper argument. That’s it. While the Node.js Storage v10 is having table storage implemented, I recommend wrapping table storage code into a similar structure. This will allow you to use the new language syntax while they update the library. When you are a consultant, your goal is to think about the best way to save money for your client. They are not paying us because we can code. They are paying because we can remove a few dollars (or a few hundred) from their bills. One of the situations we often find ourselves in is building a single page application (SPA). Clients want dynamically driven applications that don’t refresh the whole page, and a SPA is often the perfect choice for them. Among the many tools used to build a SPA, we find Angular, Vue, and React. I’ve found that delivering websites with containers is a universal way of ensuring compatibility across environments, cloud or not. It also prevents a developer’s environment from having to install 25 different tools/languages/SDKs. It keeps thing concise and efficient. If you want to know more about Docker containers, take a few minutes, in particular, to read about the terminology. The problem is that we only need Node.js to build that application, not to run it. So, how would containers solve our problem? There’s a concept in Docker called Multistage builds where you can separate the build process from the execution. 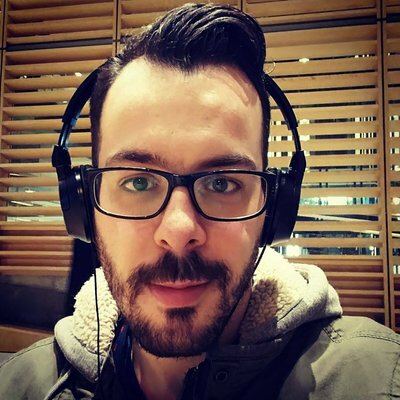 Here’s a template you can use to build a SPA with Node.js. There’s a lot to unpack here. Let’s look at the two stages separately. Multistage docker builds allow us to split our container in two ways. Let’s look at the build stage. The first line is a classic. We’re starting from an Alpine image that has Node.js pre-installed on it. Note: Alpine Linux is a security-oriented, lightweight Linux distribution based on musl libc and busybox. Its main characteristic is it runs everywhere and is extremely small, around 5MB. We’re configuring /app as the working directory. Then, we do something unusual. We copy our package*.json files before copying everything else. Why? Each line in a Dockerfile represents a layer. When building a layer, if a layer already exists locally, is retrieved from the cache instead of being rebuilt. By copying and installing our packages in a separate step, we avoid running npm install on dependencies that didn’t change in the first place. Since npm install can take a while to install, we save some time there. Finally, we copy the rest of our app and run the npm build task. If your application doesn’t have a build task, change the name to whatever tasks generate an output folder like dist. The result? We have a correctly built Node.js application located in /app/dist. We’ve generated our SPA or static site with Node.js but… our application isn’t using Node.js. It’s using HTML/CSS/JS. We don’t need a Node.js image to take our application to production. Instead, we only need an HTTP server. Let’s use the NGINX Docker Image as a host. We copy the output from our previously defined build-stage /app/dist folder into the NGINX defined folder /usr/share/nginx/html as mentioned in their docs. After exposing port 80, we need to run NGINX with the daemon off; option to have it run in the foreground and preventing the container from closing. This step is easy. Run the following command in the folder containing the Dockerfile. docker build -t mydockerapp:latest . Running the application on your machine is of course just a simple command away. This command is doing two things. First, it runs the container in interactive mode with the -i flag. That flag will allow us to see the output of NGINX as it runs. Second, it maps port 8080 of your local machine to port 80 of the container. Opening your browser to http://localhost:8080 will show you your website. I’m using Docker more and more for everything. I’m building applications that are single use with current technology. Docker empowers me in running applications with older versions of frameworks, runtime, languages, without causing tooling versioning issue with my machine. While technology may continue to evolve, I’m never afraid that my Docker container won’t work anymore. Things have been stuck in time if only for a moment. That means I don’t have to upgrade that AngularJS 1.X app to stay cool. If it works, it works. Are you using Docker in unusual ways? Share them with me on Twitter! I love static sites. They are cheap, easy to maintain, and are total non-issue in terms of security. What? You hacked my site? Let me delete everything, reupload my files, and… we’re done. Okay… not totally true but you get the point. Having the source of truth away from your deployment is a big relief. Your deployment having no possible actions on your source of truth is even better. Okay, where am I going with this? Maybe you saw the announcement a few days ago that Static Sites on Azure Storage went General Availability (internally, we call this GA because we love acronyms). Now let me tell you something else that you may not have picked up that I consider GA (Greatly Amazing). Uploading files to storage is an operation that be done in many ways. Maybe you go through the portal and upload your files one by one. I don’t know about you, but, I got things to do. I can’t spend the day uploading my site like this. So we need alternatives. So how do I get you, dear reader, to be able to upload it from anywhere in the world including your phone. Why? No time to explain. We’re more interested in the HOW? Want to customize it a little? Check out the docs. It’s easy. It’s amazing. It works in Azure Cloud Shell. You know what I think is even better in demos? A nice graphical interface. No, I’m not about to recommend you install Visual Studio 2019 to edit some markdown files and publish to Azure Storage. May look fun but… it’s still Windows only. I want you to be able to do that operation everywhere. Let’s take something cross platform. Let’s take something that isn’t as polarizing. Let’s take an IDE that’s built on Electron. Download it. Install it. Open it. Login with your account. So how do I upload my blog to my storage account now? Well, someone told me once that an image is worth a thousand words. An animated GIF is therefor priceless. Did you see that? Drag and drop. So if you got yourself a static site using Azure Storage, I want you to know that whatever tools you’re using, this scenario works out of the box. It is supported. You are in good hands. 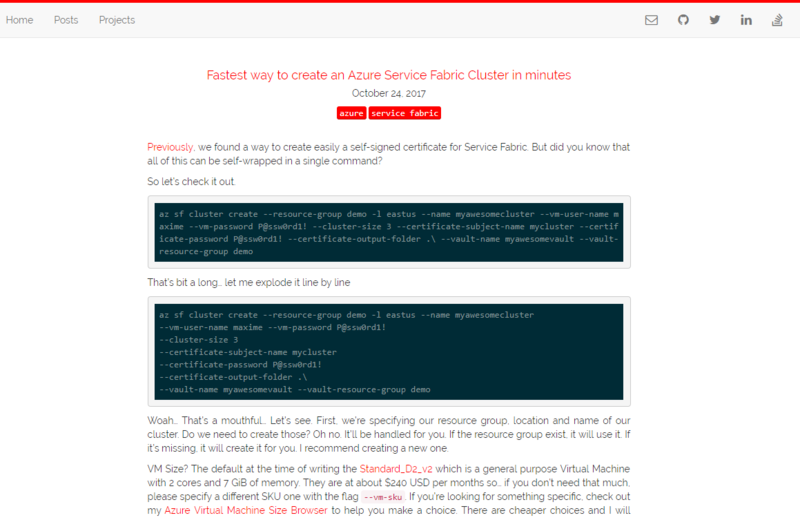 Do you have feedback on the Azure Static Site? Let me know on Twitter and we’ll talk. Here’s a summary of all the links in this post. As a few of you knows already, I REALLY love static sites. So when I read the news that Azure Blob Storage enabled Static Site in Public Preview back in June, how would you classify my reaction? Right away, I wanted to automate this deployment. Then began my search into Azure Resource Management (ARM) templates. I search left and right and could not find an answer. Where was this mysterious setting hiding? If the switch wasn’t in the ARM template, it must be somewhere else. 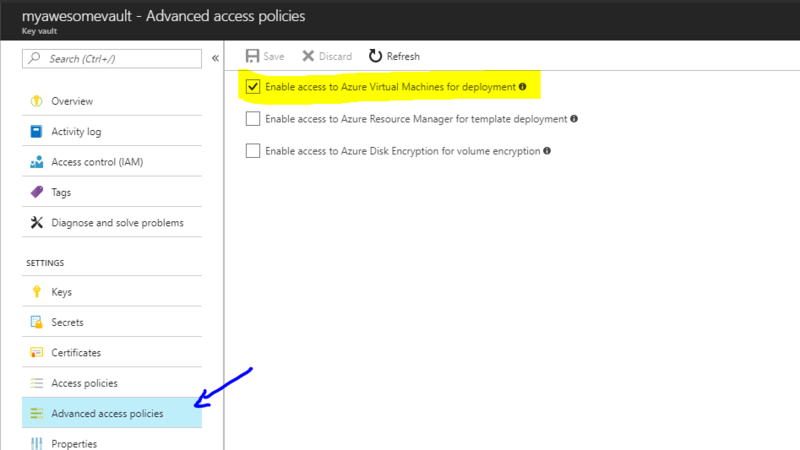 This feature set is supported by the most recent releases of the Azure Portal, .Net Client Library (version 9.3.0), Java Client Library (version 8.0.0), Python Client Library (version 1.3.0), Node.js Client Library (version 2.10.0), Visual Studio Code Extension (version 0.4.0), and CLI 2.0 (extension version 0.1.3). So, it’s possible to do it in code. On top of that, there are at least 6 versions of this code in multiple languages that set that property. Wow. Way to rush too fast into code Maxime (imagine slow claps here). 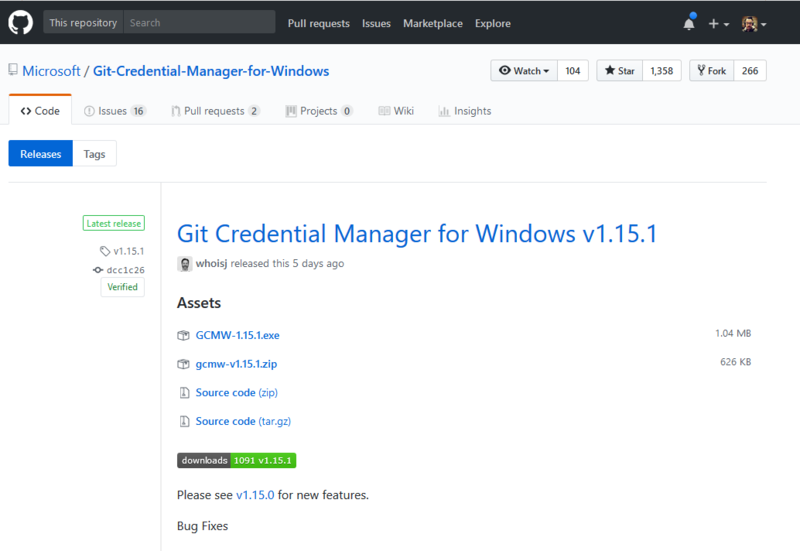 By going into the .NET Client Library’s GitHub, and searching for static website led me to those results. The results may not look like much, but it mentions Service Properties. This is definitely not an ARM concept. 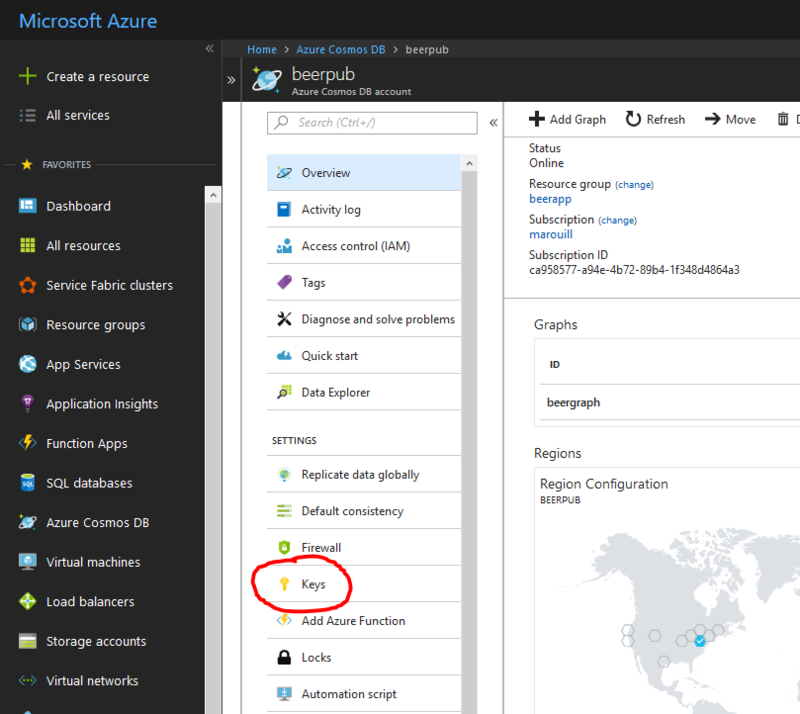 Let’s do a quick search for azure storage service properties. Where does it lead us? Just like every good Google search should lead. To the docs. Wow. So I don’t even need to do a REST API or sacrifice a few gummy bears to get it? Just like that, the service is now enabled and able to serve HTTP request on a URL looking like this. Next post? Custom domain? Yay or nay? I was looking into retrieving the last created files into a repository. For me, it was for our Microsoft Azure Documentation. This is, of course, completely open source and you can find the repository on GitHub. The problem however is that a ton of persons work on this and you want to know what are the new pages of docs that are created. It matters to me because it allow me to see what people are creating and what I should take a look into. So, how do I retrieve the latest file automatically? Knowing that git show HEAD shows you the latest commit on the current branch and git show HEAD~1 shows you the previous commit on the current branch, all we have to do is make a diff out of those two commits. This however will show you in great details all the files that have been modified including their contents. Let’s trim it down a bit to only show names and status. Awesome! But now, ou should see the first column filled with a letter. Sometimes A, sometimes D but most often M. M is for modified, D for deleted and A for added. The last one is the one that I want. Let’s add a filter on that too. At that point, I changed --name-status to --name-only since now we are guaranteed to only have added files in our list and I don’t need the status column anymore. The thing however, is that I’m seeing png files as well as other types of files that I’m not interested in. How do I limit this to only markdown files? And that’s it. That’s how a simple command coupled with a few parameters can allow you total control of what you want out of git. I’ve never played with any kind of Graph Database before this blog post. As a .NET Developer, this was weird. 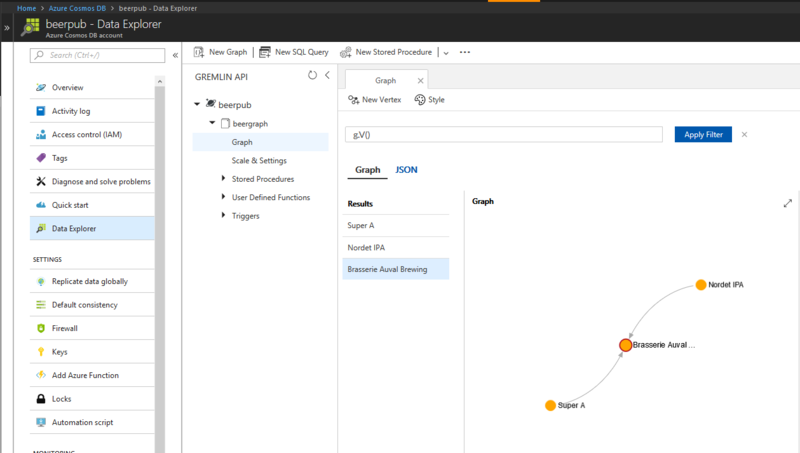 I’m so used to RDBMS like SQL Server that thinking in graph was difficult at first. Developers who uses it as their main tool also use a different kind of vocabulary. With RDBMS, we’re discussing tables, columns and joins. With graph, we’re more talking about vertices, properties, edges, and traversal. Let’s get the vocabulary out of the way. This is not exhaustive but only what we’re going to be discussing in this blog post. This is what I’ll also call a node. That’s what define an entity. RDBMS would have them represented as a table with a fixed schema. Graph databases doesn’t really have a fixed schema but they allow us to push documents. So a vertex have properties just like a table have columns. Table have a fixed schema but graph databases are more like NoSQL Document databases with their more fluid schemas. So up until now, we couldn’t make up the difference between a document and a graph database. Edges are what makes it so different. Edges define the relationship between two verticies. So let’s take an example. A person is_friend with another person. We just defined an Edge called is_friend. That edge could also have properties like since. It would allow us to make queries on which persons in our database are friends since a specific date. With the vocabulary out, Cosmos DB allows us to create graph database really easily and make our first foray into it. So to create my first Cosmos DB Graph database, I followed this tutorial. For the Cosmos DB name, we’ll use beerpub, the resource group beerapp, and as for the API, we’ll use Gremlin (graph). Then, using this other section of the quickstart, we’ll create a graph. For the database, we’ll use beerpub and for the graph ID we’re going to use beergraph. We’ll want to keep the storage to 10Gb and the RU as low as possible since we’re just kicking the tires and wouldn’t want to receive a big invoice. This will create us a basic console application from which we can initialize our data. Let’s open up Program.cs and create some basic configuration that we’re going to use to connect to our Cosmos DB Graph API. Finally, we need to enable support for async in our Main(...) and add the basic client initialization. Our bootstrap is completed and we are now ready to go. Since we’ll want to start from scratch, let’s use the Gremlin drop step to clear our whole graph before going further. Now we need to add beers and breweries. Those are represented as vertex (or Verticies). Vertex can have properties. Properties belong to that specific vertex. For our beers and breweries, we’d like to give them a proper name that will be easy to read instead of an id. All those verticies are now all hanging around without any friends. They are single nodes without any connections or relationships to anything. Those are called edges in the graph world. To add an edge, it’s as simple as selecting a vertex (g.V('id of the vertex')), adding an edge (.addE('relationship description')) to another vertex (.to(g.V('id of the vertex'))). If we run that code as-is, we should have the following show up in our Azure Cosmos DB Data Explorer. So this was my first beer database coming directly from an import code. Do you want to see more? Let me know if these kinds of demos are interesting and I’ll be sure to do a follow-up! If you are doing IoT, you are generating data. Maybe even lots of data. If you are doing API calls on each device to store them directly, you are doing yourself a disservice. If you are using something different as an event handler, things are better. If you are like me, you’re using Azure IoT Hub to ingest the events. IoT Hub is a great way to ingress data from thousands of devices without having to create a scalable API to handle all of them. Since you don’t know if you will be receiving one event per hour or 1000 events per seconds, you need a way to gather all this. However, those are just messages. You want to be able to store all your events efficiently whether it’s 100 events or a billion. You could always spawn a VM or even create an App Service application and have jobs dequeue all those messages. There’s only one issue. What happens when your devices stop sending events? Maybe you’re running a manufacturing company that only operates 12 hours a day. What happens during those other 12 hours? You are paying for unused compute. What happens to the week where things need to run 15 hours instead of 12? More manual operations. That’s where serverless becomes a godsend. What if I tell you that you’d only pay for what you use? No usage, no charge. In fact, Azure Functions comes in with 1 million execution for free. Yes, single function execution. You pay pennies per million executions. Azure Functions is the perfect compute construct for use in IoT development. It allows you to bring in massive compute power only when you need it. We have our two building blocks in place. IoT Hub to ingest event, Azure Functions to process them. Now the question remains where do I store them? I have two choices that I prefer. Now let’s assume a format of messages that are sent to our IoT Hub. That will serve as a basis for storing our events. CosmosDB allows you to store a massive amount of data in a geo-distributed way without flinching under load. Besides its different consistency model and multiple APIs, it is a fantastic way to store IoT events and still be able to query them easily. So let’s assume we receive the previously defined message through an Azure Function. Let’s create our Function. We’ll be using the CSX model that doesn’t require Visual Studio to deploy. We can copy/paste directly this code in the portal. Then, we need to define our inputs. This is done with the Integrate option below our function. In this section, we define our function parameter that matches with our written function. I also create a new event hub connection. Now we need to define where things are going to go. In our case, I’m setting a Cosmos DB Output. In this section, I created a new connection to my Cosmos DB account where save our messages. As you can see, if you check the right checkbox, you don’t need to create any collection or databases manually. As you can see, I’m being all fancy and creating everything through a Portal UI. Everything I’ve done can be replicated with an ARM Template that will allow you to provision your different resources and bind your connection strings together. If you are interested in seeing a way to deploy this through the command line, please let me know in the comments. After everything has been hooked up together, I sent a few manual event on my IoT Hub and looked into my Cosmos DB account. So what we just saw was a very cheap and scalable way to receive a ton of events from thousands of devices and store them in Cosmos DB. 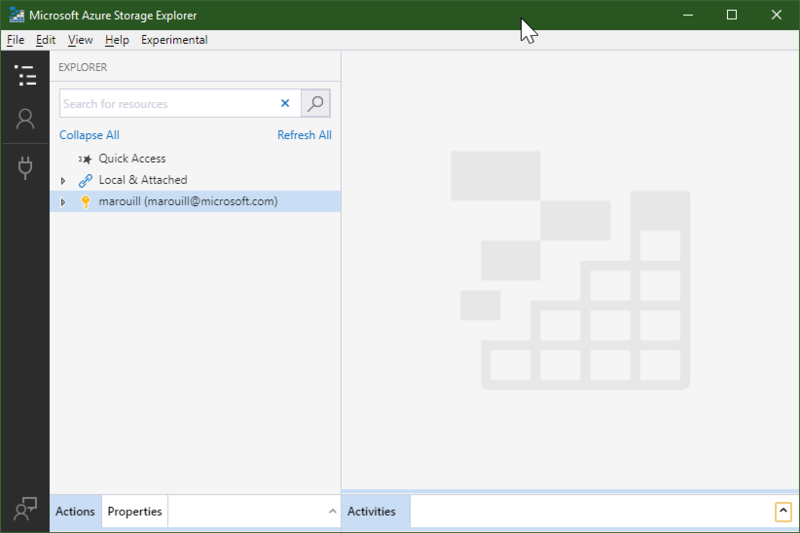 This will allow us to either create reports in Power BI, consume them in Machine Learning algorithms or stream them through SignalR to your administrative dashboard. What would you be interested next? Let me know in the comment section. So, I recently talked about going Static, but I didn’t talk about how to deploy it. My favorite host is Azure. Yes, I could probably go with different hosts, but Azure is just so easy to use that I don’t see myself changing anytime soon. 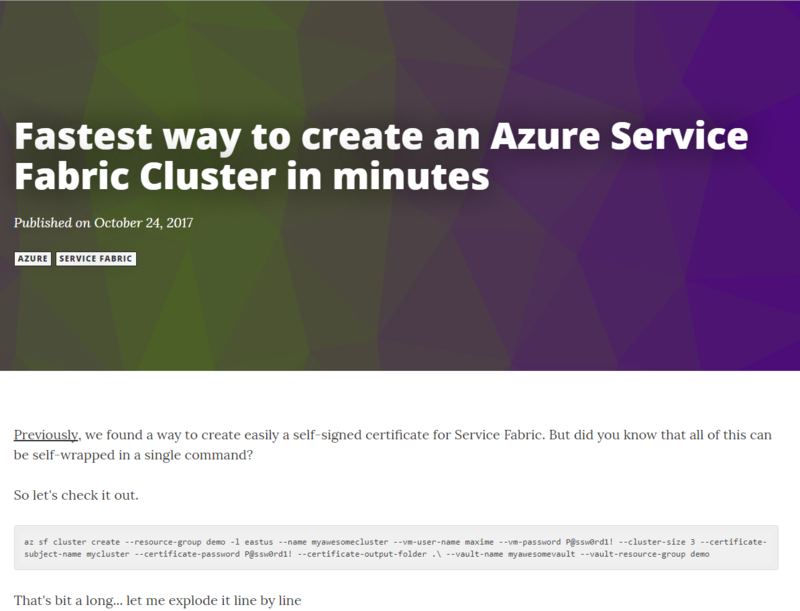 What about I show you how to deploy a static site to Azure while keeping the cost at less than 1$ per months*? *it’s less than $1 if you have a low traffic site. Something like Scott Hanselman’s blog would probably cost more to run. With this shopping list in mind, let me show you how Static and Serverless can help you achieve crazy low cost. Prices change. Pricing model too. Those are the numbers in USD at the time of writing. Azure Storage is $0.03 per stored GB, $0.061 per 10,000 write operations and $0.005 per read operation. So if your blog stays under 1Gb and you get 10,000 views per months, we can assume between $0.05 and $0.10 per months in cost (CSS/JS/images). Azure Functions provides the first 1 million execution for free. So let’s assume 3 million requests, and it would bring us to $0.49. Big total of $0.69 for a blog or static site hosted on a custom domain. So as the URL shows, we’ll need a storage account as well as the base container. The following script will create the required artifacts and upload the current folder to that URL. So accessing the same file on that URL will now be accessible on https://hugoblog2.blob.core.windows.net/content/index.html. Now that we have the storage taken care of, it’s important to remember that although we can associate a custom domain to a Storage Account, the Storage account does not support default files and uploading files to root. So even if we could map it to a custom domain, we would still have the /content/index.html instead of /index.html. So this brings us to Azure Functions. So we’ll need to create a Function using the following code. Then, we create a proxies.json file to configure URL routing to our blob storage. WARNING: This is ugly. I mean it. Right now, it can only match by url segment (like ASP.NET MVC), and it’s not ideal. The good news is that the Azure Functions team is very receptive to feature request, and if you need something specific, ask them on Twitter or on Github. Now, this proxies.json file is not configurable via the command line so we’ll need to create a git repository, add the file to it and deploy it using Git. Note: You will need to set a deployment user before pushing to source control. The script below will configure Git for our Functions app, add a remote upstream to the current git repository and push the whole repository. This will start a deployment. If your file wasn’t in there before, I’d be using Visual Studio Code to create the file, add it, commit it and push it. git commit -m "adding proxies"
Now your proxy will automatically be picked up, and your Hugo Blog now works. The same thing can be done with some slight modification to the proxies. We have a system where we can forward any requests to the Storage URLs. It’s clunky for now, but it’s one way to do it with serverless. Imagine now that you want to add an API, authentication, queuing messages. All this? It is all possible from that same function. If you are building a SaaS application, it’s an excellent option to have with the least amount of building blocks. Even though it’s the “minimum amount of building blocks”, I still think that it’s way too high. The second highest uservoice that they have is about supporting complete static site without any workarounds. Once implemented, this blog post will be unnecessary. Thinking creatively with Azure allows you to perform some great cost saving. If you keep this mindset, Azure will become a set of building blocks on which you will build awesomeness. Are you using static sites? Was this content useful? Let me know in the comments! If you want to decouple your application from your logic, it’s always useful to separate events happening and actual actions. This technique is also known as Command Query Responsibility Segregation or CQRS for short. The main principle is to allow events to be queued in a messaging service and have a separate mechanism to unload them. Traditionally, we would do something like this with Rabbit MQ and maybe a command line application that would run on your machine. With modern cloud based applications, we would create an App Service under Azure and have a WebJob handle all those messages. The main problem with this approach is that your WebJobs scales with your application. If you want to process messages faster, you have to scale up. How unwieldy! The thing with Azure Functions is that you can define a QueueTrigger and Table Output Binding, implement your business logic and be on your way. That’s it! Here’s an example. First, what’s a poison message? A poison message is a message that fails to be processed correctly by your logic. Either the message was malformed, or your code threw an exception. Whatever the reason, we need to take care of that! Let’s add another function to handle those extraordinary cases. // handle cases where the message just can't make it. Waaaaaait a minute… what’s this incoming-animals-poison you tell me? That, my friend, is automatically created when queue trigger fails five times in a row. Did we just handle poison messages by just creating a single function? Yes. Well, how much is this serverless goodness going to cost me? Creating a decoupled architecture is easier with a serverless architecture. Cost is also way easier to manage when you don’t need to pre-provision resources and are only paying for what you are executing. This is a TLDR of the git bug. There was a bug in git that affected the clone command. A malformed git clone ssh://.. command would allow user to insert an executable within the URL and it would execute it. If you are running Visual Studio 2017, make sure you have version 15.3.26730.8 or higher. I’ve been working on building and deploying applications for over 15 years. I remember clearly trying to deploy my first application on a Windows Server 2000. The process was long. Tedious. First, you had to have the machine. Bigger companies could afford a data center and a team to configure it. Smaller companies? It was that dusty server you often find beside the receptionist when you walk-in the office. Then, you had to figure out permissions, rolling logs, and all those other things you need to do to deploy a web server successfully. And your code isn’t even deployed yet. You only have the machine. Imagine having to deal with that today. It would be totally unacceptable. Yet, we still do it. If you’re lucky, your company have moved that server to a colocated data center or even as VMs to the cloud. If you already made the move to Platform as a Service, everything is ok. Right? Definitely not! We’re still stuck creating machines. Even though it doesn’t look like it, we’re still managing dusty servers. We’re still doing capacity planning, auto-scaling, selecting plans to keep our costs under control. So many things that you need to plan before you put down a single line of code. Imagine an environment where you just deploy your code and the cloud figure out what you need. Let me talk about serverless. One of those buzzword bingo terms that comes around often. Let’s pick it apart and make sure we truly understand what it means. Serverless isn’t about not having servers. Serverless is not even about servers. It’s about letting you focus on your code. On your business. Provisioning server farms? Capacity planning? This doesn’t make you different. It just makes you slow. Serverless is about empowering you to build what differentiates you from the other business down the road. Focus on what makes you amazing. Azure Functions is Microsoft’s implementation of serverless. It allows you to run code in a multitude of languages, from any environment and deploy it in seconds. Creating an Azure Function from the CLI, the Azure Portal or even Visual Studio is just as simple as it should be. Azure Functions will only charge you for what you use. If your API isn’t used, it’s free. As your business grows and your application starts getting customers, it’s when you start paying. You’re not spending money until you start making money. The best part? You get enough free executions per months to start your next startup, a micro-SaaS or the glue to integrate existing systems. Stop postponing it. Try Azure Functions. Right now. Let us help you be amazing.